The YTA510 is a high performance, dual-input temperature transmitter that accepts thermocouple, RTD, ohms or DC mill volt inputs. 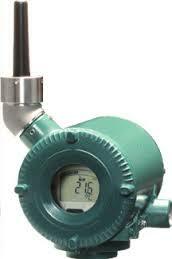 These transmitters transmit process variables and the setting parameters using a wireless signal. They also run on internal batteries, greatly reducing the cost of installation as hard-wiring is not required. The wireless communication is compliant with ISA100.11a protocol specifications. It also offers an ultra low current consumption design, providing wireless operation for years with long life battery. View our ISA100 Wireless Adapters and Wireless Infrastructures. The YTMX580 is a multi-input temperature transmitter that can accept inputs from up to 8 points of measurement including thermoncouple, RTD, DC voltage, resistance and 4 to 20 mA DC. These transmitters convert the corresponding measurement inputs via a wireless signal and can also wirelessly send and receive setting parameters. They also run on internal batteries, greatly reducing the cost of installation as hard-wiring is not required. 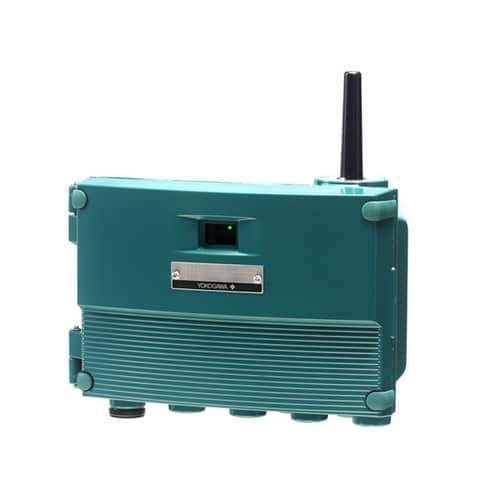 The wireless communication is compliant with ISA100.11a protocol specifications.